It was a real treat to have famed Civil Rights attorney Ben Crump as the Keynote speaker at the 50th Anniversary of the UCLA Black Law Students Association Solidarity Dinner. The groups mission is to be a component nationally and the recruitment and admissions of Blacks into the Law School. 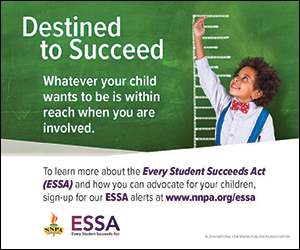 BSLA is highly interested in people who demonstrated an active desire to contribute to the Black Community. The theme of the evening was "Champions for Change" and brought out some big names in Law and Entertainment. Actors Courtney B. Vance and Terry Crews were contributors to the evening. Lola Smallwood Cuevas, head of the Los Angeles Black Workers Center (BWC), also had input on the beautiful evening. Comedian Aida Rodriguez is a big supporter of B.S.L.A. and she is the first Latino woman to have a comedy aired on HBO and Showtime in the same month. In the past Crump has represented several families nationwide including Trayvon Martin who was killed by a neighborhood watch volunteer in Sanford, Florida. Michael Brown who was killed by police in Ferguson, Missouri in 2014- Also Stephon Clark who was shot by Police in Sacramento in 2018. 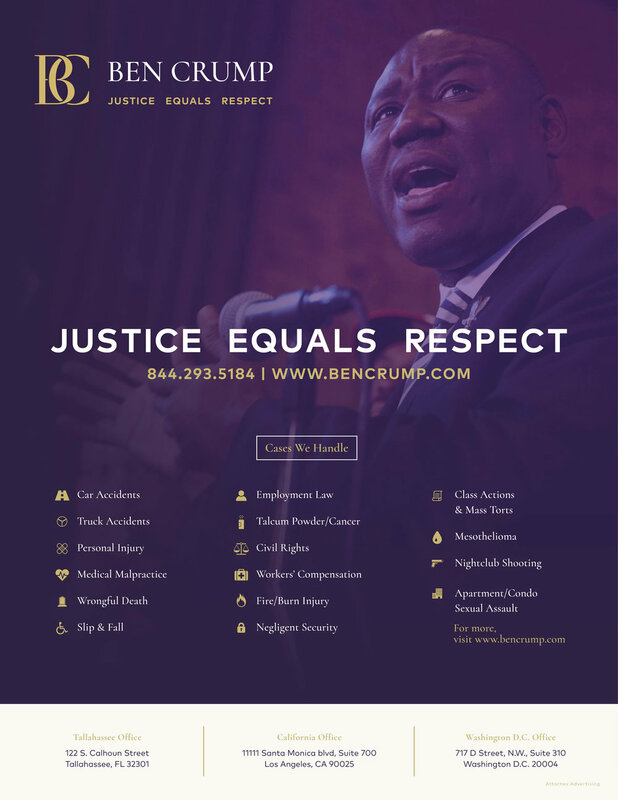 Crump, who is currently President of the National Civil Rights Trial Association, delivered a message that highlighted the “Evolution of Ben Franklin”. Crump tells the story of Franklin who like many of America's founding fathers was a slave owner. He (Franklin) took two black student's as apprentice's. "He saw for himself that black children could learn and achieve just like white children if given support and resource's," stated Crump. "Franklin concluded that the black's he had as apprentices were even more intellectually superior than the white student's he had." When Franklin realized this he felt he had to do something and correct the "original American lie," that blacks were inferior to whites. “He became the first President of the American Abolitionist Society and we have to free the slaves if we are going to say we hold these truths to be self-evident that all men are created equal." Some 400 people gathered in West Los Angeles to celebrate the 50th year of the BSLA. One was John Floyd. He was the organizations first president in 1969 and 1970. Floyd now lives in South Africa and made the trip to support the organization he helped get started. Floyd and his classmates were community people instantly. The started the Black Law Journal. They formed the Black Law Center and the corner of Western and Adams as Law students they made a radio announcement-"Free Law Help". The line was down the street with people seeking Law help. “We couldn’t maintain, we were college student’s trying to get a degree. We finally turned all our clients over to Legal Aid- It was simply taking all our time,” added Floyd. Floyd and the original B.S.L.A. stood for was right with America and Give their time to help out those in South L.A. during the turbulent sixties. Floyd also mentioned how the late Celes King of (King Bail Bonds) bailed him out of jail several time due to being arrested for protesting.